But we may assume that there are individuals with Parkinson’s disease who are concerned with the moral ramifications of this procedure. I can personally assure you at least one man in that minority cares deeply. My father was diagnosed as having Parkinson’s disease nine years ago. Since then, he has watched his faculties fall away from his control, slowly and mercilessly, one by one. The common Parkinsonian symptoms—rigidity, tremor, speech difficulties, aphasia—have forced a once robust, alert, confident man to become frail and dependent. It is common for the condition of a Parkinsonian to fluctuate from month to month—even day to day. During my father’s “bad times,” each activity of every day is a major challenge: rising from bed, shaving, dressing, walking to the mailbox are all enormous tasks accomplished with tremendous effort. Not long ago, I took a close friend out for a birthday luncheon in Alexandria. She asked about my father’s condition. We discussed the ethics of fetal implants, and what promise the procedure might hold for my father. I told her that I was adamantly opposed to using fetuses from elective abortions, and that I know my father felt the same way. “What if it could save your father’s life?” she asked. I answered that, if it were my decision, I could not justify the procedure, even if it were the only treatment available. I would have to let my father die. My friend was shocked: “It would be a sin to let your father die,” she said. I remember the way those ten words—and all the challenge and criticism packed within them—seemed to be suspended for one vivid moment in mid-air. Each syllable then made a sharp dive straight through the center of my heart. The shot was on the mark, I felt then, because it was irrefutable. My friend’s argument seemed more potent than all my strongest convictions to the contrary. If fetuses are available through legal abortion, she asked, why not put them to good use? On a more personal level, if I truly advocate life, how could I staunchly defend the life of a fetus while denying life-saving treatment for my father? I wasn’t very satisfied with my performance in the debate. Here, then, for my father, is a second try. Initially, it may seem perfectly licit to use aborted fetuses: Is it not right and natural to create some good out of a bad, even evil, situation? But, in matters of truth and morality, the tug of our conscience must pull us back from our inclinations. Can anybody approach this debate without hearing some inner voice saying “something is terribly wrong here”? Like it or not, one simple fact remains. The existence of tissue for fetal implants is, for all intents and purposes, a consequence of elective abortion. Except in rare cases, it can be said that if “elective” abortion did not exist, viable fetal tissue would not be available. The abhorrence of abortion and the deep respect for the sanctity of human life give rise to the two strongest moral arguments against fetal implants. First, it is contended that the success of implants will perpetuate abortion by legitimating abortion. Second, we learn by precedent—and, if we are to be honest, we sense innately in our souls—that a just society can never justify profiting from inherently immoral actions. If research continues, and fetal implants prove “successful,” new momentum will be given to the pro-abortion movement. No, vast numbers of women will not become pregnant for the sole purpose of aborting their fetuses and donating them to victims of disease. But, as Lutheran Pastor John Neuhaus points out, when moral standards are relaxed, in due course the “prohibited becomes the permissible becomes the expected.”4 Any discussion that examines the social ramifications of utilizing fetal tissue must look beyond the justifiable benefits of research and cure toward the potential for ethical misconduct and moral erosion within a society. The old arguments—that we can depend on the innate goodness of individuals, the noble aims of science, and the careful judgment of the courts to protect us from moral disaster—just won’t hold here. They argue that the Supreme Court’s constitutional defense of individual autonomy—originally intended, among other things, to make “hard case” abortions legal—has become the dominating principle involved in all medical decision-making. As the courts place more and more value on the supremacy of self-determination, universal precepts of morality become meaningless. It is not difficult to see why hard cases make bad law. Sixteen years and twenty-two million “hard cases” later, we see the tragic outcome of a decision intended chiefly to accommodate individual exceptions. While Appelbaum and Klein deal exclusively with the euthanasia issue, their arguments seem to me equally applicable to the fetal implant debate. The promotion of fetal implants does not, in and of itself, legitimate abortion. But exploiting the fetus—albeit toward a positive end—certainly helps relax our consciences to the point where the heinousness of abortion becomes a non-issue. As Neuhaus points out, medical ethicists stand ready, with the courts as willing accomplices, to “produce ever more sophisticated rationalizations for turning the unthinkable into the routinely do-able.”6 The speed with which such rationalizations develop is always inversely proportional to the present strength of society’s moral fiber. Thus, we must fear that fetal harvesting and research will proceed with unchallenged momentum. If propelled by the success of Parkinson’s transplants, and motivated by results, the results-motivated medical community will further shift the focus of the abortion debate off the wrongfulness of the act, highlighting instead the tremendous benefits of fetal implants. Such a shift will legitimate a logic wherein abortion is less and less considered a grave and reprehensible evil, and more and more a “regrettable event” that can nevertheless deliver a positive outcome. Some bioethicists have even argued that, by donating her aborted child’s tissue to help someone else, a mother may facilitate her own difficult process of grieving and bereavement.7 So the fetal harvesting business offers yet another blessing: it can help relieve all the unnecessary guilt that still stubbornly clings to abortion. If the aborted child is being put to good use, there’s really nothing to feel guilty or sad about, is there? One cannot help but wonder where in the chronology of events the greater disservice occurred. Can we readily afford to dismiss any sense of loss attached to the child whose death delivers so great a subtraction from humanity? When we treat the fetus more like a pharmaceutical than a child, we further eclipse its inherently human characteristics and help weaken any future arguments for its defense. The Vatican’s recent “instruction on Respect for Human Life in its Origin” clearly stated that corpses of human embryos and fetuses, whether the product of voluntary or involuntary abortion, must be respected in the same way as the remains of other human embryos.10 To my father, the harvesting of fetal remains—even for the noble aim of research and treatment—is an activity which falls outside the natural parameters of such respect. With so many patients desperately seeking cures, and doctors wanting to do all that’s possible to provide them, fetal tissue could become a hot commodity in the years to come. After the polio virus was isolated in the early 1950’s, millions of dollars were poured into the development of the Salk vaccine and the oral Sabin vaccine. Once these vaccinations proved to be successful, no one spent much time in the lab trying to figure out another cure—the job was done. If fetal implants were to deliver a high success rate, it seems unlikely that researchers will seek out additional—or alternative—paths of experimentation. If we put all our proverbial eggs in one basket, Parkinson’s patients seeking relief will have no choice but to consider fetal transplantation. The most common drug currently used to alleviate Parkinson’s symptoms is levo dopamine, or L-dopa. Fifteen percent of all Parkinsonians derive no benefit from L-dopa, however, and in two thirds of all Parkinson’s victims, the effectiveness of L-dopa wears off after 10 to 15 years.13 When it comes to treating Parkinson’s disease, other methods and therapies have already become inferior. We soon might not be able to “do without” implants, so we wouldn’t be able to do without abortion, either. Remember that fetal tissue is “marketable” only when it is viable; that is, only when it is capable of living and developing under favorable conditions. The viability which makes fetuses perfect candidates for transplantation is the same viability which would, if given a chance, allow the fetus to survive and thrive outside the womb. Transplant proponents seem all too eager to dismiss this fact. Furthermore, abortion methods that are best for the health of the mother are not necessarily the best means for insuring the viability of fetal tissue. 14 Most (91 percent) of elective abortions are performed in the first trimester of pregnancy; only eight percent are performed in the second trimester, when fetal tissue is considered “best” for transplantation. 15 Consequently, we may fast be approaching an age when abortion techniques grow ever more specialized to ensure the existence of the most desirable tissue for implantation. Some physicians, counseling mothers who have decided to abort their children, may encourage their patients to “wait it out” until the developing embryo reaches its most viable stage for transplantation. By confining yourself to a spontaneous abortion, you raise the question of is the material normal. The danger of using tissue that is abnormal or deficient in ways that are not understood is an additional risk, and recipients should be made aware of that. 1. In a spontaneous abortion, the fetus usually dies two to three weeks before it is expelled from the womb. Such “dead” tissue is unsuitable for transplantation. 2. Half of all miscarriages involve fetuses which are genetically abnormal; either they have too many or too few chromosomes. Even if this tissue is “fresh” when obtained, it is considered genetically unacceptable for transplantation. Thus it would be virtually impossible to establish an adequate supply of fetal tissue exclusively from spontaneous abortions. Few women would actually bring their miscarried child to the hospital in time for a donation, and recruiting potential donors is, well, inconceivable. It follows, then, that fetal implants will remain a reality only if elective abortion remains both acceptable and legal. Implant proponents are quick to point out that the question of the ethics of abortion is separate from the question of what to do with the remains. They compare the utilization of fetal tissue with the use of organs obtained from deceased adults, and suggest that the same ethical and legal criteria that is used to regulate the latter also be used to regulate the former. For those who consider abortion to be murder, yet another parallel is drawn between the aborted fetus and individuals who have died of a violent crime: because murder victims are accepted as organ donors, aborted fetuses should be.20 All that’s needed is the informed consent of the mother. Does this follow? Regardless of the conditions that inspire her decision, the mother who aborts her child is responsible for an intentional death. Does she not therefore relinquish all authority of consent? Moreover, unlike the nerve cells of deceased adults, those of dead fetuses retain the capacity to divide and grow.23 All studies indicate thus far that, on even the cellular level, the fetus is a strong, viable and regenerative force. Obviously, then, the implant is not an artificial elixir. By the rapidity of its growth and its unique adaptiveness to the adult brain, the fetus demonstrates its communion with creation and its affinity with mankind. By acknowledging that the fetus possesses an embryonic brain, we acknowledge that it is endowed with all the characteristics manifested by the presence of a central nervous system—the ability to interpret sensory impulses, to coordinate body activities, and to exercise emotion and thought. Even after its destruction, then, the fetus leaves behind an imprint that is uniquely and unmistakably human. Despite all this, one bioethicist recently stated publicly that “A society that would throw fetal remains into a dumpster or an incinerator without offering them to save other young lives is morally suspect.”24 It is now a common sentiment. Many do consider it intolerable—even immoral—to make people suffer when treatment is available. But must we not also admit that it can be mortally dangerous if taken to extremes? Although fetal implants may improve the “quality of life,” the procedure itself, in my judgement, contradicts all precepts of natural law because it is facilitated by an inherently immoral act. The implant controversy demands that we remain vigilant against any form of Epicureanism which—despite its worthy aims—ultimately belies any true respect for the sanctity of human life. When you exploit a tragedy, you help perpetuate it: what was once a horror is legitimized. Last March, the Environmental Protection Agency prohibited inclusion of data gained from experiments conducted at Nazi concentration camps in an JEJPA report. The data involved an experiment in which 40 concentration-camp inmates were exposed to phosgene gas to examine its effects. Since phosgene gas is currently used in making plastics and pesticides, the information was included in the JEJPA’s draft study. When the draft appeared, 22 agency officials and scientists expressed concern.25 It is illicit, they argued, to use knowledge obtained from criminal experiments on human beings. If we argue that abortion is a criminal attack on a human being, then must we not also consider science to be unjustified when it seeks to use both the knowledge and the remains gained from an abortion? Since Roe v. Wade, nearly five times as many deaths as occurred during the Holocaust have been caused by legalized, elective abortion. Should we exploit what many believe is the most immoral episode in history? Much has been written recently about the case of a woman who offered to help her father, an Alzheimer’s victim. She wanted to conceive a child with her father’s sperm, abort the fetus, then offer the fetal tissue for transplantation into her father’s brain. Whenever I read about this case, I think of my own daughter. It is a moot question—an unthinkable notion, really—but occasionally I wonder if her life would have been better served if I had sacrificed her for my father. My daughter celebrated her first birthday not long ago. In each of the too-many photographs taken of the event, I notice a striking familiarity in her face. It is my father’s face: forehead, cheekbone and chin. The subtler features of her personality which already endear her to me—the uncomplicated trust, the discriminating affection—are the same features that endear my father to his family. Such sublime comparisons remind me that my daughter, like any child, is more than just my own. Her life helps to sustain the memory of her forebears and the greater progeny of God which so inextricably link one generation to the next. Any disrup¬tion of this progeny is, to me, a violation of the natural and sacred order of the world. It is the presence of Brutus’ soul in Cocytus that teaches us our most valuable lesson. Brutus was a man of virtue and character, an individual who, despite his principled allegiance to the state, his stoic sense of morality, and his strict adherence to the precepts of justice, nevertheless became an accomplice to murder. But Brutus’ gravest sin is not murder. His guilt stems from the fact that he used reason to justify Caesar’s killing to the public. Because he labored to give the conspiracy the “color” of morality, Brutus is banished eternally from Paradise. The success of fetal implants will endow the act of abortion with a certain degree of morality. As our reason labors further to justify the questionable conspiracies of science, however, our true morality becomes fainter and fainter. We have indeed become like gods; eager still to take yet another bite from the apple that exiles us further from the Garden and sinks us ever lower into the dolorous depths of Cocytus. 1. Larry Rohter, “Implanted Fetal Tissue Aids Parkinson’s Patients,” New York Times, January 7, 1988. (Note: The author wishes to call attention to the name of the Mexico City hospital in which the landmark implant operation took place. Of the several Spanish translations of “La Raza,” two seem pertinent here. The first definition suggests a “race or breed” of men. The second interpretation is defined as “a ray of light; a crack or fissure. “). 2. Tamar Lewin, “Medical Use of Fetal Tissues Spurs New Abortion Debate,” New York Times, August 16, 1987. 3. C. S. Lewis, The Joyful Christian, (New York: Macmillan Publishing Company, Inc., 1977), p. 11. 4. See Neuhaus, “The War Against Reason,” Human Life Review, vol. XIV, no. 1 (Winter, 1988), pp. 109-110. S. Paul S. Appelbaum and Joel Klein, “Therefore Choose Death?,” Commentary, April 1986, p. 26. 6. Ibid. ; Human Life Review, vol. XIV, no. 1 (Winter, 1988). 7. Ibid. ; New York Times, August 16, 1987. 8. Michael Specter, “NIH told to Stop Use of Aborted Fetuses,” Washington Post, April 15, 1988. 11. Larry Thompson, “Brain Implants: The Controversial New Approach to Treating Parkinson’s Disease,” Washington Post Health Magazine, July 14, 1987. 12. Ibid. See also Dr. Bernard Nathanson, Liberty Report, December 1987. 13. Ibid. ; Washington Post Health Magazine, July 14, 1987. 14. Ibid. ; New York Times, August 16, 1987. 15. Ibid. ; Liberty Report, December 1987. 17. Ibid. ; New York Times, January 7, 1988. 18. Ibid. ; Liberty Report, December 1987. 19. Ibid. ; New York Times, August 16, 1987. 20. 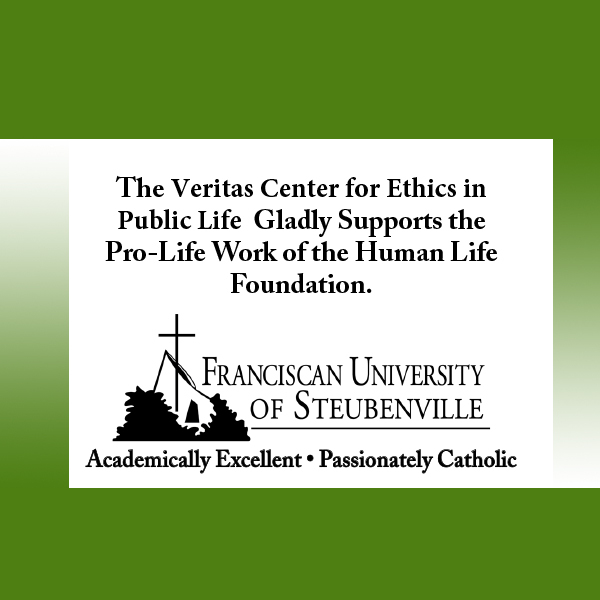 Joan Frawley Desmond, “Should We ‘Harvest’ Fetal Tissue?,” Human Life Review, vol. XIV, no. 1 (Winter, 1988), pp. 76-77. 21. Ibid. ; Washington Post Health Magazine, July 14, 1987. 22. Ibid. ; New York Times, January 7, 1988. 23. Joyce Price, “Fetal Cells Working in Brains of Recipients,” Washington Times, January 7, 1988. 24. Ellen Robinson Haynes, “Ethical Questions Cloud Use of Fetal Tissue to Fight Illness,” The Sacramento Bee, November 20, 1987. 25. “Good From Evil?,” Time, April 4, 1988. D. Sinclair, (New York: Oxford University Press, 1939), p. 428. 27. Allan Bloom with Harry V. Jaffa, Shakespeare’s Politics, (Chicago: University of Chicago Press, 1964), p.95. 364 people have visited this page. 1 have visited this page today.